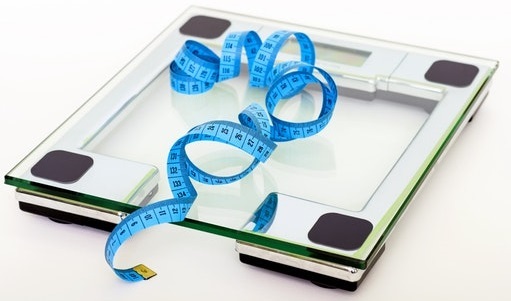 Our office offers two types of weight-loss programs. One will most likely be the right one for you!! Yucha Medical Pain Management & Chiropractic Rehabilitation is approved by the Department of Health and can issue a patient certification. Medical services including; regenerative medicine, trigger point/large joint injections, and more.. Adjustment of a joint may result in release of gas bubbles between the joints that make a popping sound – it’s exactly the same as when you “crack” your knuckles. The noise is caused by the change of pressure within the joint that results in gas bubbles being released. There is no pain involved. So, is there really a simple remedy for chronic LBP? Since back pain is often multi-factorial in its causation, the simple answer is "probably not." BUT, a 2017 study reports that simply taking vitamin D can offer significant benefits for the chronic low back pain patient. In the study, researches provided participants (68 patients with a history of chronic low back pain and low vitamin D levels) with an oral dose of 60,000 IU of vitamin D3 every week for eight weeks. The research team measured pain intensity and disability using common outcome assessments at baseline and at two, three, and six months post treatment. They also collected blood samples to measure vitamin D serum levels. The data show that not only did the patients' vitamin D levels improve from 12.8 ng/mL (+/- 5.73) at baseline to 36.07 (+/- 12.51) at eight months with 45 (66%) of the patients attaining a normal level of >29 ng/mL, but the participants also report significant improvements in pain and disability throughout the course of the study. The authors conclude that vitamin D supplements can improve pain and function in chronic low back pain patients with vitamin D deficiency. hence, this is a very SIMPLE remedy! It is well known that vitamin D deficiency is a very common problem, with up to 75% of teens and adults having sub-optimal levels. Past research has demonstrated vitamin D deficiency may be a risk factor for many disorders including cancer, heart disease, diabetes, and depression. It appears that we can now add chronic low back pain to the long list of conditions that vitamin D supplementation may benefit. Physical medicine and chiropractic services frequently include nutritional counseling, diet management, and other wellness-related services in the quest of optimizing patient health, well-being and quality of life. Sciatica is a condition caused by the compression or pinching of a spinal nerve root in the lower back passing into the leg. Those with sciatica describes their symptoms in several ways, like sharp, achy and dull pain or even a “pins and needles”-type feeling. Others have also complained of burning or tingling feelings or even numbness. Sciatica affects the lower back, hips and legs, all along the sciatic nerve, which is the longest in your body. Many different conditions can cause sciatica, such as herniated or bulging discs, spinal stenosis, pregnancy, osteoarthritis and spondylolisthesis, among other things. Thankfully, chiropractic care and physical therapy can treat pain caused by sciatica. Decompression therapy and spinal manipulation have been used as solutions to treat sciatica and leg, arm, neck and back pain in chiropractic patients. These non-surgical options correct misalignments, reduce pressure on spinal discs, nerves and joints and free restricted movement of the spine to help get your body back to it's right position, all while alleviating you of pain at the same time. Chiropractic adjustments are safe and simple and should cause little to no pain at all. A set list of exercises customized to your pain, symptoms and circumstances is another solid way to help those suffering from sciatica. By exercising under the guidance of professionals, your exercise therapy can help reduce your pain, increase your range-of-motion and strengthen you and your body. This type of physical therapy can also help prevent future injury and make you a happier, healthier person. Physical therapy using therapeutic ultrasound is an effective practice that reaches deep into muscle tissues and joints to alleviate pain, stiffness, cramps, swelling and spasms. Heat and sound waves from the ultrasound also help to increase blood flow and circulation, along with reducing the aforementioned. Relieving and releasing pressure on the sciatic nerve is paramount, which is why massage therapy is a wonderful option for those suffering from sciatica. Deep tissue massages not only can relieve this tension, but also have been known to increase joint flexibility while reducing muscle spasms and tightness. Additionally, physical therapy massages can promote a healthier immune system, decrease stretch marks and help relieve depression. Icing and heating a problem area is often overlooked as a possibility; however, it is great treatment option to reduce pain and inflammation. For this reason, this type of therapy can help control sciatic pain and increase circulation, making for a faster healing process. Ice and cold are usually used in the first 48 hours of injuries to decrease pain, swelling and inflammation, while heat is typically used for chronic issues or injuries after the first 48 hours to help relax and loosen muscles and joint areas. Transcutaneous Electrical Nerve Stimulation (TENS) and Electrical Muscle Stimulation (EMS) use machines that utilize electrical currents to help control and alleviate pain and muscle problems. Yucha Chiropractic & Massage located in Pottstown, PA provides chiropractic treatment, including including physical therapy and massage therapy, to treat a plethora of ailments. Conditions treated include sports injuries, headaches and migraines, and back pain. Whether the injury is already there, you are looking for pain prevention, or you have a completely different reason, chiropractic care is the way to go. Through different methods of therapy and care, chiropractors treat millions of people daily who are suffering from countless, varying conditions. There are numerous benefits of chiropractic treatment including pain relief and weight loss. Whether you were referred or you are making the decision on your own, here are a few reasons why you need to see a chiropractor today. The first reason we probably think of when considering seeing a chiropractor is joint pain, which ranges from your head to your toes and everything in between. If you are experiencing issues, whether it be pain, numbness, or range of motion problems in your shoulders, knees, hips, or any other movable joint or extremities, your chiropractor is the one to call. Another very common reason to see a chiropractor immediately is back or neck trouble. Maybe you have a pulled muscle; maybe you are suffering from something worse such as a slipped disc; or maybe you are concerned about scoliosis or spinal health. Any way you slice it, a chiropractor is trained in all aspects of the spine, neck, and back and can let you know what you are dealing with and how to proceed. Athletes have been known to see chiropractors for preventative maintenance, follow-up therapy, and everything in between. If you are looking to feel your best while on the field or court, routine alignments and therapy can help keep your body in top shape. Not to mention chiropractic care has been known to improve your balance, power, agility, and reaction time among other things. Additionally, if you have suffered an injury or concussion, chiropractors can help give you safe treatment to heal, as well as a plan and therapy schedule to get you back in action in no time. Everyone succumbs to stress and fatigue at some point, but not everyone gets the help they need if it is seriously affecting them. The effects of stress and fatigue can build up inside your muscles and body, but chiropractors can use methods such as massage, manipulation, and stretching to manage the tension. Having good spinal health will not only make you feel better physically, but it will also reduce your stress levels and increase your energy levels. The first person you think of following a car wreck will not be your chiropractor; though, you should consider thinking about them soon after. Chiropractic care can treat and relieve injuries sustained in a crash, from small symptoms to severe physical and emotional damage to whiplash. You may not realize it, but most chiropractors are known to be trained to help with weight loss. In this way your chiropractor can survey your health and objectives and put you on a custom weight loss program to achieve your goals through focusing on good nutrition and better exercise habits. Do not just pop some pain medication if you are suffering from a headache or migraine. Instead, seriously consider seeing a chiropractor. Internal issues like your nervous system being out of whack or spinal misalignment is often times a leading cause of your pain. Simple adjustments and chiropractic care begin to ease your pain and get you back in the right frame of mind and feeling fine. You may be thankful to have a job, but you are probably not as thankful if it is something that keeps you inactive behind a desk all day. These types of jobs, paired with staring at a computer screen all day, have made society as a whole more sedentary than ever before. This has led to more spine and joint problems, higher stress levels, and poorer posture. Luckily, before your discs give out or sciatica sets in, (or even if it does) chiropractic care can treat all of these problems and is known for it. If you are a smoker that just cannot quit, do not give up just yet. Your chiropractor can help provide you with alternative solutions, adjustments, acupuncture, detox sessions, and more. Avoid over-the-counter and even prescription medications and see your chiropractor today for help kicking the habit. You may not really think of associating children and chiropractic care. However, the fact is that taking your kids to see a chiropractor is a growing trend, and one that is beneficial. Of course, as a parent, the decision on whether or not to take your children to the chiropractor is completely up to you, but it is worth noting the positive effects that chiropractic care can have on young ones. For preventative reasons: In the same way a chiropractor can keep an adult in tip-top shape, they can do the same for your child. This includes treating them even when there is not a noticeable lingering condition to hopefully thwart off potential future health problems. Through seeing a chiropractor regularly, you can keep your child emotionally light-hearted and happy, as well as physically happy. This is because chiropractic care encourages good neural plasticity, or positive brain and nerve development. Seeing a chiropractor also strengthens your child's immune system, which can prevent minor to damaging health risks in the future. Why wait for something bad to happen? Be proactive with your child's health. For modern reasons: In this day and age everything is on a screen or tablet, and children now spend their days looking down at them or slouched over a desk. By seeing a chiropractor your child will fix and also learn about the right type of body health and balance, including correcting poor posture and learning what should and should not be done with body joints. For development reasons: This can span to a wide range of issues, but most notably includes problems such as asthma, breastfeeding, constipation, allergies, and colic. Chiropractic care is known to promote proper growth and development in all patients, especially in children. This will in turn help them to resolve issues with nursing, reflux, bed-wetting, and more. If your child or infant is having trouble sleeping through the night, an aggravated nervous system could be to blame, which is exactly an area treated by chiropractors. This includes a colicky baby, an infant suffering from an ear infection, and even all day crying, which has been improved with mild and gentle back and neck subluxations. Additionally, chiropractic also can help another problem keeping you and your child up at night—bed-wetting. Talk to your chiropractor or take your child to see them in order to get their nerves, bladder, spine, and digestive system in order or to find out if there is an underlying cause for this issue, such as stress or trauma. For learning reasons: Many children today have trouble learning, concentrating, or following through with a task. Nerve interference could be the issue that is causing this diminished capacity to learn in your child, which is exactly why you should take them to see a chiropractor. If you believe your child is suffering from ADHD or a related issue, a chiropractor can treat symptoms, give nutrition advice, educational guidance, stop any strains on the nervous system, and get to the root of what is causing this learning stunt. Since the back and spine take on so much movement, weight, and responsibility day in and day out, it is imperative to keep the spine as healthy as possible. Most of the population will experience back and spine problems at some point in their life, but most are not aware that there are ways to stop the pain and discomfort. Keeping your back in shape will not permanently remove back problems, but they will keep them to a minimum throughout your life. Follow these basic tips to strengthen your spine and see how much less time you spend in agony because of your back. It is important to not stay stagnant and keep body active. No matter your age you should always keep your spine in shape by giving it something to do. This includes participating in strengthening exercises like weight lifting, aerobics, or just simply walking. Having a exercise routine will keep your back strong and in shape and prevent your spine from weakening. If you cannot get into a regular exercise routine at least work on back stretches to keep joints and muscles fluid. Being overweight can be tough for you, but just think what it does to your spine. Work on losing weight and eating right to take some weight, stress, and pressure off your back. Lifting heavy items is a task for everyone, and it especially puts a burden on your spine. When lifting refrain from twisting and jolting, as this is the most harmful movement the spine can endure. If you must lift something heavy, get as close to the object as possible and use your legs as leverage to pull the item up instead of your back. Remember to also keep your back straight. If you cannot pick up the object yourself, try pushing it instead of pulling it. This will also alleviate stress on your back and spine. Also, don't be afraid to ask for help when moving heavy things. If you are picking something up off the floor, do not bend at your waist and reach for it. Instead, like when lifting, get close to the object and bend and kneel at your knees, dropping low to the floor to retrieve it. Oppositely, don't stretch, strain, and reach for something too high up, as this could injure the top of your spine and neck. Sometimes we probably get lost in work, thought, or conversation and forget the position we are in. If you find yourself slouching and hunching over, you could also find yourself with back troubles in no time. When working at a desk sit with the screen directly below your eyeline so you are not forced to keep your neck bent. Sit with your chair leaned back slightly - sitting straight up for long periods of time is just as damaging on your back as hunching over all day. Raise your chair to a level that allows your knees to remain at a comfortable 90°. For the tall people in the workplace, this might require using a desk riser or riser for your computer monitor to maintain the correct eyeline. Sleep is important in all aspects of life and health. Most people contribute stress in their lives to being sleep deprived, and this tends to carry in their bodies. When sleeping try not to sleep on your stomach, as this puts pressure on your spine. Instead, try sleeping on your side. Additionally, invest in a good mattress that will support you for years to come. See your doctor or chiropractor for check ups regularly. If you are having back or neck pain, do not hesitate to schedule an appointment to have it looked at. Do not ignore any problems or pains. After all the last thing you want is for your condition to worsen. It is better to be safe than sorry where your spine is concerned. Yucha Medical Pain Management & Chiropractic Rehabilitation is located in Pottstown, PA, but provides chiropractic threatment, massage therapy, and decompression therapy to patients in surrounding areas including Limerick, Chester Springs, Boyertown, Gilbertsville, and Royersford.